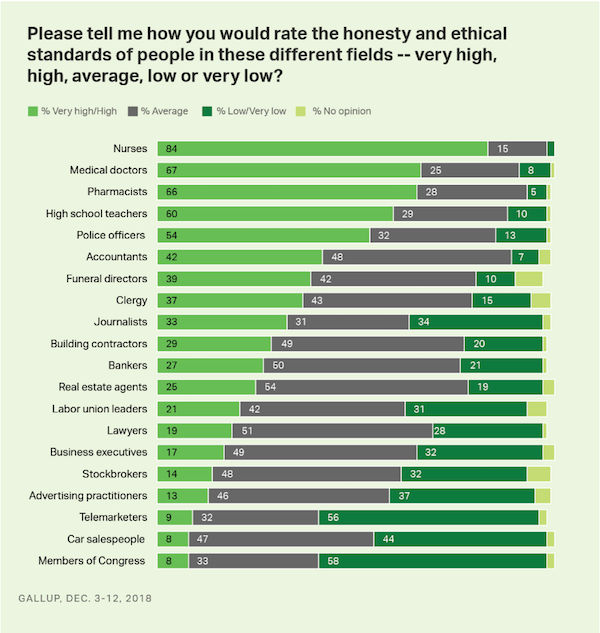 More than four in five Americans (84%) again rate the honesty and ethical standards of nurses as "very high" or "high," earning them the top spot among a diverse list of professions for the 17th consecutive year. At the same time, members of Congress are again held in the lowest esteem, as nearly 58% of Americans say they have "low" or "very low" ethical standards. Telemarketers join members of Congress as having a majority of low/very low ratings.